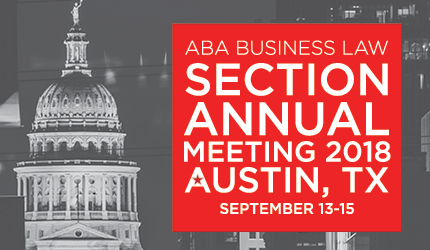 Sept. 10, 2018 — Maurice Wutscher attorneys Alan Hochheiser and Donald Maurice will discuss consumer bankruptcy law and give guidance to financial services companies at the ABA Business Law Section Annual Meeting in Austin this week. Alan Hochheiser will moderate a panel review of federal appellate bankruptcy decisions over the last year. The session will provide analysis of the caselaw and guidance for business lawyers in their dealings with consumer debtors. Donald Maurice will discuss the unique issues of the pro se bankruptcy debtor and best practices financial services companies should use in their interactions with them. These sessions are among more than 80 CLE business law programs as well as topical forums covering the latest business law issues to be offered at this year’s annual meeting.